New research released by the Australian Government has provided a snapshot into disability employment across the healthcare, social care and education service industries. 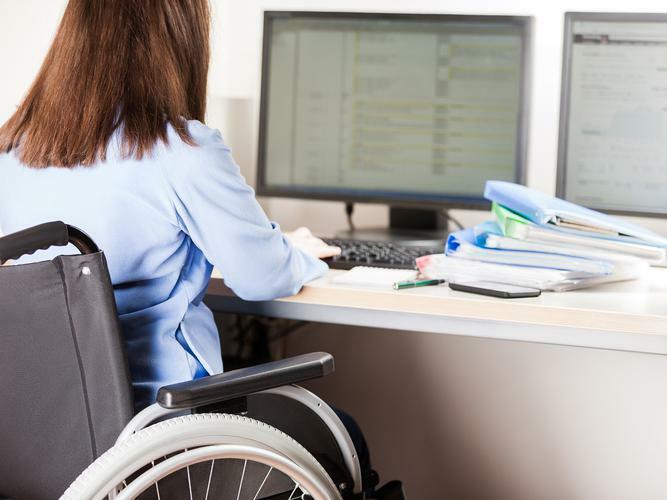 According to the research, 79 percent of Australian employers across these industries are open to hiring people with disability, however, only 58 percent of businesses are currently doing so. Assistant Minister for Social Services and Disability Services, Jane Prentice says although most employees recognised the value people with disability bring to the workforce, many remain unsure about what is involved at a practical level. “When considering the things that mattered to them, 76 percent said equal work opportunities for people with disability was an issue that was personally important to them,” she says. Mrs Prentice asks more employers to take advantage of the practical advice and resources on disability employment, available on the Government’s JobAccess website. The website covers everything from recruitment assistance, staff training and financial support to workplace modifications and tips for creating flexible working environments. “Leading disability employers are already utilising these services and reaping the benefits, but we are urging more employers to get on board,” she says. Diversity and Inclusion Advisor, Ebru Dogan works for Gold Coast Health, a healthcare employer who has joined the Australian Government’s Employ their Ability, a new campaign seeking to empower employers to hire people with disability by linking employers with the information they need to take the next step. “Aside from working towards an inclusive culture and meeting targets, it [employing people with disability] brings a diversity of thought that is invaluable,” Ms Dogan says. She says Gold Coast Health has been working with JobAccess and Disability Employment Services (DES) provider, Epic Assist for a few years and is committed to hiring more people with disability. “At the moment we have more than 120 employees with disability working here, but after seeing the benefits, we’re actively looking to increase that number,” Ms Dogan says. There was widespread agreement that employees with disability have a good attitude to work (76% of ‘open’ medium businesses, 69% of ‘open’ large businesses) and are loyal to the business (69% of ‘open’ medium employers, 63% of ‘open’ large employers). The major industry groups most supportive and open to hiring people with disability include professional and financial services, retail, accommodation and food services, social, health care and education services. Across all businesses, human resources personnel were most open to hiring people with disability (93%) followed by administration staff (83%), middle managers (79%), people in leadership roles (76%) and business owners (73%). 42 percent of Australian businesses in the healthcare, social care and education service industries are overlooking candidates with disability during the hiring process. Doctor Dinesh Palipana is one employee at the Gold Coast University Hospital who’s disability hasn’t stopped him studying or working in his chosen field, medicine. After becoming a quadriplegic following a car accident in 2010, Dr Palipana works as a Junior House Officer and is able to complete 90 percent of what any other doctor does. He was put in touch with his current employer through Job Access. “If I have a difficulty doing a procedure or something that I can't do manually, I just ask a colleague, and they've almost been uniformly happy to help,” he says. Claire is another highly valued employee with disability, working as an Office Administrative Assistant at Lady Cilento Children’s Hospital School, Queensland. Claire is an advocate for people with disability and is Chair of the Queensland State for the Down syndrome Advisory Network. Chief Executive Officer (CEO) of Diversity Council Australia Lisa Annese also details the importance of finding a workable solution to ensure more people with disability are given employment opportunities. “Employing people with disability is not just about ‘doing the right thing’; it makes good business sense because it not only provides access to valuable skills and talents but benefits profit and performance, wellbeing and safety, as well as corporate reputation,” she says. She also highlights employees with disability experience one of the highest rates of harassing and discriminatory behaviour at work (34 percent of employees with disability had experienced such behaviours in the past 12 months, compared to 21 percent for employees without disability). “Firstly, it lies in organisations proactively creating workplaces based on the principle of universal design, so that all are included and all can contribute at work,” she says. For more information and resources on employing people with disability click here.